Enjoy gambling at Unibet casino with this amazing tournament bonus. If you do your best, you can score a share of £25 000. 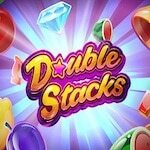 Play Double Stacks slot and if you succeed in being among the 1000 players with the highest equalized win over 20 rounds, you can share the prize pool. The first place gets £5000. The minimum bet to participate is £0.20. There are 100 cash prizes and 900 bonus spins prizes valid only on Book of Dead. The awesome thing is that the bonus comes with no wagering requirements. This tournament ends on the 4th of October. Accept the challenge and have tons of fun!